In an editorial this week The Age announced its support for the Melbourne City Council plan to retain the market in its current form. Reference was made to the need for a social enterprise rather than a commercial one and the importance of “grittiness” and “anarchy” over a sanitised presentation. The article talked about the sense of moving parking underground and the appropriateness of green park over graves. I think that the market is definitely due for renewal, so this is a really good and important project. It would be great if the market could connect better to Flagstaff gardens. The new development site offers a great opportunity to further connect the CBD with the market, and so strategically placed shops, and a well designed ground floor that opens on all ends would be useful. A new open space will be great, particularly if it can be used for community events. 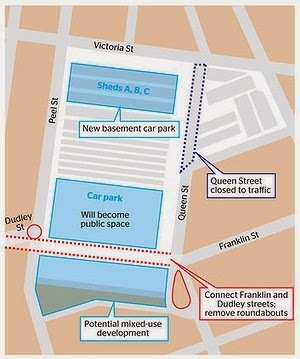 The roundabouts (particularly Dudley St) have been a menace to cyclists and I will be glad to see them go. The new public space will be an exciting opportunity for some more greenery in the area, even if it is amongst a commercial area. A multi-purpose space that could be used in the night markets with multiple areas for performances would be great. If this can be set in a leafy environment, watered with all the water coming off the roofs of the sheds it would be an excellent space for the community. Congratulation CoM on your bold initiative to create a new public space for the city's north. I would like to question however the urban thinking in the proposed extension of Franklin St. In effect this places a new conflicting high use roadway directly into the Market precinct which previously did not exist. This seems conceptually inappropriate and incompatible with the adjacent New Public Space. Are we are missing out on the opportunity to possibly repurpose the Storage Sheds and add new life to the Public Space? Are cars simply winning again? This week’s confirmation of QVM’s proposal for an underground car park raises a lot of questions, particularly for traders, and so far, there has been little attempt to answer those questions. The proposal is for a car park under A, B, and C sheds. A two or three level underground construction would cause massive disruption to trading and estimates of the construction time involved range from one 1 to 2 years. In the meantime traders from A, B, and C sheds would be relocated and Specialty Traders in the top end would be concertinaed into around half their current space. How will this be achieved? Will traders with double stalls be asked to reduce their holdings? Will traders with multiple holdings be asked to give up some of their stalls? What compromises will have to be made? What compensation will be arranged for displaced traders? There are many questions to be answered. Modest and fragile businesses are facing very uncertain futures. It is time for QVM to put its property developer hat aside and consider the future of its traders. The second stage of QVM Renewal consultation was launched this week and gained plenty of press. Articles in The Age and Herald Sun were joined by radio discussion on ABC Radio and 3AW. The thrust of the second round of consultation concerns QVM’s preferred option for an onsite underground car park, the creation of a park over the current car park and a couple of new proposals. The first of the new proposals is for 7day and possibly 24hr operation at the QVM site. There has been a common theme over recent years that the market site is under-utilised and international markets expert, David O’Neil, confirmed this shortfall during his recent visit to Melbourne. He often talked about meshing different market activities on the one site so that visitors could enjoy our market pretty much all the time. The other proposal which went a little under the radar concerned turning Queen St. into a no-vehicle, pedestrian mall. Trader Bruce Pham identified this option in his letter on expanding the Queen Victoria Market (http://www.victraders.com/2014/04/trader-seeks-market-expansion.html). Joining the top and bottom ends of the market makes a lot of sense although removing more car parking is unlikely to get approval from a significant number of food traders. This week the second stage of consultation is largely geared to community responses and the ex Suga candy shop at the bottom of F shed has been transformed into a community consultation centre. Traders can also express their views either at the F shed shop, or online here. There are many who recognise your pivotal role in the process of re-invigorating our wonderful Queen Victoria Market. Back in 2012 you called concerned traders to your office to discuss the future of the market and since then we have embarked on the city’s largest ever project of market renewal. However, we would like to question the terminology used this week in Melbourne’s press. “There may be times when it is like a general market, trash and treasure-type market, and other times its primary purpose is to be the best fresh-food market in Australia”. We would like to categorically state that there is no trash in the general merchandise (we now call it specialty merchandise) area of the market. Ironically the only real trash (definition: waste or refuse) lies at the back of food stalls. The closest that Specialty Merchandise comes to second hand goods is a monthly vintage market and we can assure you that quality and prices of those goods are well above trash level. The top end of QVM, the Specialty Merchandise area, contains a huge range of products ranging from the highest quality to the most price-competitive. We have quality leather goods, fine jewellery and a broad range of clothing accessories to meet all needs. We cater for those seeking quality as well as those who consider low prices essential to their buying. One of the key attractions of the market’s food area is the choice. You can buy the finest fresh tomatoes for your Greek salad, or the lower quality but full flavoured tomatoes for your homemade tomato sauce. The same applies in the top end where you can, as an example, buy genuine aboriginal craft for that special souvenir or the cheaper copies depending on your needs and the size of your wallet. Variety and choice are essential components of our offer to customers. 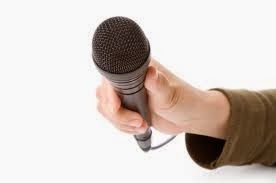 The Challenge – why don’t your PR people get in touch with our PR people and we can organise a showcase of what Specialty Merchandise has to offer? We’d love to remove the “trash” from our dialogue. Best Regards – Specialty Merchandise Traders. We know QVM is keen to keep costs down but this is ridiculous. Just don't show this picture to your kids. 23/04/2014 18:10:20 QVM's Easter Bunny "Pete looks cute and cuddly to me." The following is a well considered response to some management concepts that have been revealed over recent weeks. Responding to market plans is a very important part of the consultation process. We have obtained approval from Bruce to publish his letter. Thank for inviting David O’Neil to offer advice his experiences with the use of public markets renewals all around the world. David O’Neil demonstrated many strategies how to cooperate in order to achieve the overall benefit for the future of public markets. Firstly I would like to state clearly that I am AGAINST any reduction of the Queen Victoria Market but rather in favour of upgrading or the expansion of the Queen Victoria Market. The current geography of the Queen Victoria Market is divided into categories (Fruit& Vegetables, Meat and Fish, Delicatessen and General Merchandise). We as traders are not inter-connecting with each other - the Queen Street side is dividing us. As a general trader our views do not align with the Fruit & Vegetables, Meat and Fish and Delicatessen traders. But the proposed underground car park for sheds A,B,C and D of which is inclusive of cold and dry storage and car park spaces seems more beneficial to the Fruit & Vegetables, Meat and Fish and Delicatessen traders. I do not believe an underground car park is necessary and our resources should be invested into the upgrade of Queen Street. Traders will not go on-board if they do not know the end result. 21/04/2014 13:48:05 Bruces letter "Very well written Bruce, and some great suggestions. In particular the Queen St dividing the market. Its a no-brainer in my opinion. This area needs to be utilised (covered) to join the bottom to the top half of the market. 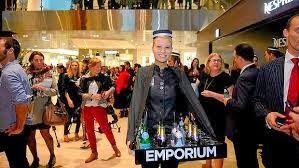 Although not yet fully open, the new Emporium Centre in Melbourne's CBD is creating quite a buzz with shoppers. Here are some recent images. “I’m worried about our market”............. said a long standing trader as he recounted his experience on Thursday this week. He had finished packing at the market and headed down into Elizabeth St. to meet a family friend and was staggered by the crowds of shoppers loaded up with bags from the likes of H&M, Uniglo, and Muji. Decline of Clothing Wholesalers – a recent report by Ibis World suggested that there was negative growth in the clothing wholesaling category in Australia as retailers increasingly go direct to manufacturers in places like China and Vietnam. However bypassing the wholesaler requires a certain volume of sales which may not be achievable by individual small retailers like market traders. Retail Rents Continue Decline – in the real estate industry they call it negative re-leasing spreads as new leases are signed off at lower rents than the outgoing retailer was paying. 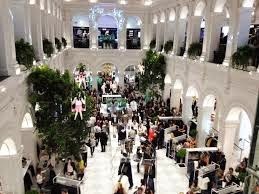 The trends are consistent across department stores and chains as well as small independant retailers. Declines of 6-10% are being recorded in major shopping centres. However, the pattern is variable according to product category. Clothing and accessories is suffering a well documented decline while food service rents are showing a rise. PayPal is developing its PayPal Here concept with a mobile card reader that connects with your mobile phone. Rather than setting up an EFTPOS terminal, a small business owner simply downloads the PayPal Here app on their smartphone. The mobile is used to input the cost of the sale, and then the transaction is completed with the customer inserting their card into the reader and entering their pin on the keypad. There is a one-off fee of $139 for the card reader and a fee of 1.95% will be charged for transactions using the reader. 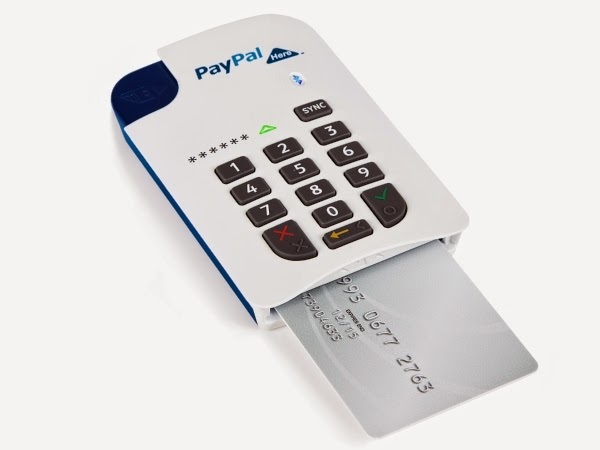 Card readers will be available in the first half of 2014 and further details are available from the PayPal website. PS - Your editor did a quick check on his current Commonwealth Bank EFTPOS facility and found that the fees for March 2014 worked out at 2.25% although that was with the advantage of the PayWave facility and didn't include any data charges for using a mobile phone which could be a factor with the Pay Pal system. Melbourne CBD To Trade Later Every Night. 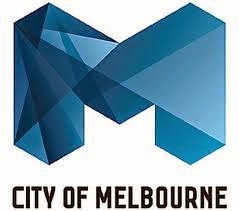 The City of Melbourne has announced that retailers in two city blocks between Bourke St Mall and Latrobe St will be open till 7:00pm each night and 9:00 pm on Thursday and Friday. This is part of a move to make retailers more accessible to city shoppers, including thousands of city workers, and the growing population of city dwellers. 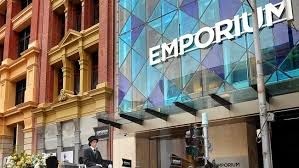 The new hours have been introduced to coincide with the launch of the 225 store Emporium Shopping Centre which will form part of an internal North/South mall from Myer and David Jones in Bourke St to Melbourne Central on Latrobe St.
Melbourne city retail hours will likely become 10:00am till 7:00pm. More food for thought for QVM Traders as we consider how we can best meet the needs of our customers. We have a variety of trader comments to post on a variety of topics. 14/04/2014 08:14:03 Amazon Dash "I would prefer if it could do the dishes and vacuum the house." a.i. 17/04/2014 09:48:24 Rent Increase "Really I didn't know that we have to pay management for better communications and arranging retailer support programs, I would have thought that was part of their job description as a management team, also if we are paying for that from May 1, what were we paying for before?" 1. Flight Centre fined $11m for price fixing. 2. 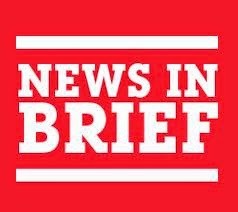 Dunn & Bradstreet says general outlook for retailers has declined. 3. Australia’s clothing wholesale industry declining by 2.1% p.a. 4. Australian grocery shoppers buying smaller quantities more often. 5. Walmart experiments with new convenience store concept. 6. Best & Less and Harris Scarfe suffer from retail downturn. 7. H&M opens in Melbourne to long queues. 8. Luxury brand, Prada, achieves profit boost from Asian market. 9. Amazon launches in house grocery ordering where you scan an item or speak its name and automatically goes on shopping list. 10. Dimmeys bought out of administration. 11. World’s largest beauty retailer, Sephora, to open in Australia. 12. Consumer confidence falls flat despite lower interest rates. 13. Samsung plans 4000 new stores in India’s smaller cities. 14. Luxury leather goods, Tod’s, opens first boutique in Australia. 15. Uniglo hires university graduates for its first Melbourne store. The future of grocery shopping? - check this out. Do Traders Need To Be Better Organised? One of the many key proposals that have come out of discussion with markets expert, David O’Neil, this week concerns the way traders set themselves up to professionally handle their affairs. QVM has 10 QVMAC Representatives and thanks to the many issues facing traders, the contribution by these representatives is significant. However our representatives operate on a voluntary basis and sometimes lack the resources for professional advice. They also have their own businesses to run. David O’Neil points out that successful overseas models, particularly involving renewal, have trader organisations with paid officials plus resources necessary to manage their affairs. There is much to examine here including the likelihood of traders being asked to make weekly subscriptions. It could be a small price to pay for independent professional management and guidance. QVM’s Proposed Rent Increase Should Remain Just A Proposal. PE Traders have received letters advising of a 4% rent increase to be applied from 1st May 2014. Given the general economic climate and the state of retail rents it can be argued that any increase is inappropriate. Since 2013 shopping centre landlords like Stockland and GPT have reduced the rents on new leases by as much as 10%. Westfield followed late last year with a similar announcement. QVM traders are currently suffering from depressed retail trading conditions and around the corner a disruptive renewal period is looming. This is not the time to increase rents. QVM management should seriously consider a further 6 months hold before again reviewing rents. Thursday afternoon’s presentation to traders by markets expert, David O’Neil, was enthusiastically received by a large group of traders. A meeting room at the Jasper Hotel had to receive last minute extra seating to fit in all participants which included traders, management, council representatives and independant market consultants. David O’Neil’s extensive experience with global markets and his down to earth manner contributed to a rich discussion on many aspects of market operation. David talked about the opportunity for QVM to set a high standard of market renewal on one of the largest major city market sites in the world. He presented examples of many other market renewals around the world and regularly drew comparisons with the options available at QVM including underground facilities. As would be expected at a meeting involving traders, there was some robust questioning during the presentation on key issues like car parking, compensation during construction periods and customer facilities like seating and green areas. Overall the mood seemed very positive and spontaneous applause for our guest occurred on a number of occasions. At the end of proceedings, traders presented David with a rare book of market photographs as a sign of their appreciation. The David Jones board has recommended a takeover offer from a South Africa retail group, Woolworths, to its shareholders. Woolworths Holdings is a listed South African retail group which already owns a controlling interest in Country Road. The move follows failed merger negotiations between Myer and David Jones earlier this year. The Australian Woolworths says it has no direct links with Woolworths South Africa. 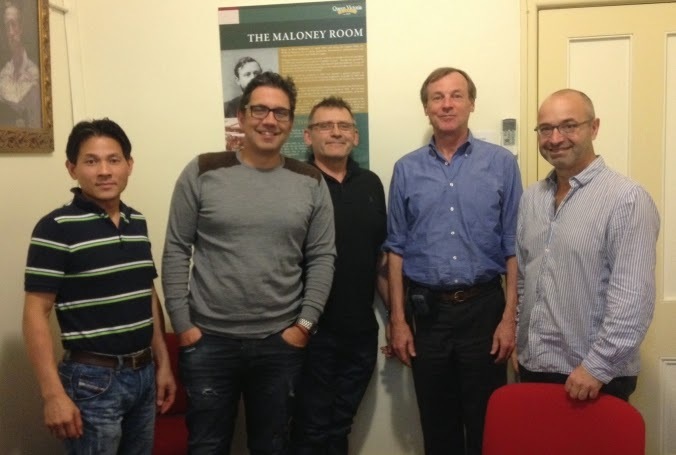 QVMAC Representatives have been involved in discussion with leading international markets consultant, David O’Neil since his arrival on Tuesday. David has been brought to Melbourne by QVM to assist in our considerations of a QVM renewal and he brings with him a wealth of experience including consulting on over 200 historic and new market precincts. This meeting on Wednesday involved David, and QVMAC Representatives Kha Nguyen, George Milonas, Joe Stolarek, Ivano Guseli and Greg Smith. We covered many subjects including prominent US markets like Detroit which is a 24 hour market with wholesale activities at night giving way to retail during the day. Pike’s Place Market, which is similar in many respects to QVM, has just undergone a renewal financed by a public subscription model. We talked about UK markets and the Bazaar of Tabriz in Iran which has recently gained UNESCO Heritage Site endorsement. We talked about global experience on how to mitigate the impact of renewal construction on traders and customers through a range of options including consideration of individual traders needs. We also talked about the danger of turning public retail markets into tourist markets. Tourists are important to many markets around the world. However, it is the inherent community characteristics of markets that attract tourists and changing the balance could be a mistake. We had a productive discussion about how traders might best organise themselves to achieve a level of professionalism aimed at maximising results for traders. 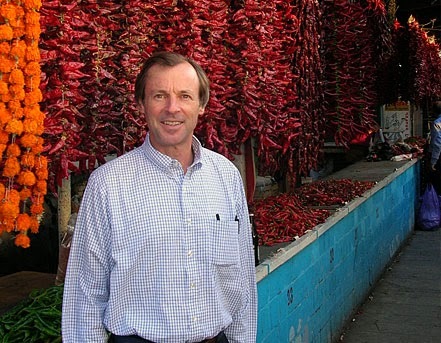 David O’Neil will be presenting to a larger group of traders on Thursday afternoon and then participating in a tour of Footscray, Prahran, and South Melbourne markets on Friday. We look forward to more productive discussions with this markets expert. Ever felt that your contribution as a market trader lacks recognition? Ever felt that you have little to show for a lifetime of dedication under the sheds or in the halls at QVM? Well The Lord Mayor wants to hear from you. Every year the Melbourne Lord Mayor recognises the contribution of small business to our fine city via the Lord Mayors Commendations. The awards are open to small business owners with at least 10 years service. If you would like to be part of the 2014 intake or you know of a trader who would like to be part of it, please contact Greg Smith on 0406 222 020 for details. Applications are open from 8th April. 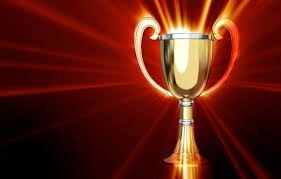 Recent QVM recipients include Wayne Chitty, Maggie Korda, John Rosenberg, John Pontelandolfo, Greg & Sue Smith, Kevin & Annette Stanisich, John Magno, Carl Greco and Bill Tzimas. It should be noted that business partners can receive recognition, as well as registered stall holders. David O’Neil is a leading consultant on public retail markets and is making a special presentation to traders on Thursday 10th April as part of his visit to Melbourne. He has been a consultant on over 200 historic and new market projects around the world. Place: Jasper’s Hotel 1st Floor, Room 8, 489 Elizabeth St.
More details from your QVMAC Representatives. 1. Westfield secures $22b funding as part of its plan to split local and international business. 2. Ksubi fashion label saved from extinction through deal with General Pants Co.
3. Dunn & Bradstreet report that retailer’s confidence continues to fall. 4. Toy distributor, Funtastic, suffers first half loss of $26m. 5. Australian indie pop band, Architecture In Helsinki, has opened a concept store in Melbourne. 6. US burger chain, Carl’s Jr., to open first store in Australia. 7. Beville’s jewellery chain placed in administration. 8. Chinese company offers to buy 165 year old British retailer, House of Fraser, for £450 million. 9. PayPal launches bluetooth devise that facilitates payment to retailers using mobile phones. 10. 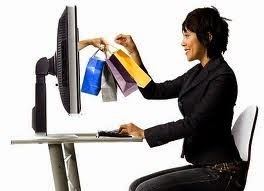 Australian Bureau of Statistics reports February retail sales up 4.6%. 11. UK’s Marks & Spencer plans 250 store expansion outside UK. 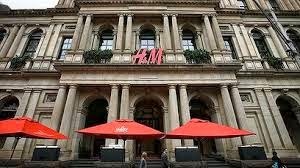 Global fashion retailer, H&M, launched its Melbourne flagship at the iconic GPO Building this week. H & M Hennes & Mauritz AB (H&M) is a Swedish multinational retail-clothing company, known for its fast-fashion clothing for men, women, teenagers and children. H&M exists in 53 countries and as of 2013 employed around 116,000 people. The first store was opened on the high street of Västerås, Sweden in 1947. It had 2,325 stores at the end of 2011 and 2,629 stores at the end of August 2012. 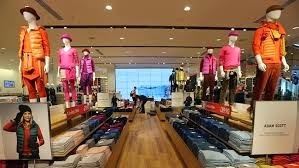 It is ranked the second largest global clothing retailer, just behind Spain-based Inditex (parent company of ZARA), and leads over third largest global clothing retailer, United States based GAP Inc. The branding consultancy Interbrand ranked the company as the twenty-first most-valuable global brand in 2009 and 2010, making it the highest-ranked retailer in the survey. Its worth is estimated at $12–16 billion. 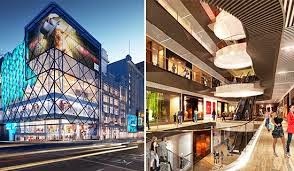 H&M, and the soon to be opened Emporium Shopping Centre, will add significantly to the fashion mix in Melbourne’s CBD. Put on you oxygen masks because this is a high level discussion. The Queen Victoria Market should be a co-operative. We don't mean a statutory co-operative but an organisation based on co-operation. 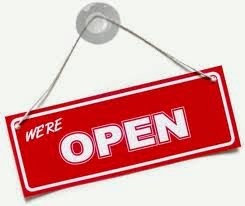 Currently we are organised as a property management company (The Queen Victoria Market Pty. Ltd.) and a large group of small retailers. The property management company makes no apologies for concentrating on its rental return to the owners. 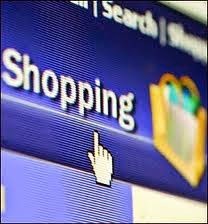 The small businesses make no apologies for concentrating on maximising retail sales to the customers. Turn your oxygen level up a bit higher - what if QVM was run as a co-operative entity where both sides simple worked for the betterment of the market? That would mean working for the owners, the traders, and the customers. In fact, if the owners and traders just concentrated on customers, that would make things even easier. We could actually work together to achieve results. Here is the basic premise. The key word is CO-OPERATION. Let’s have a look at what this could mean, look and feel like. Co-operation is defined as: “The process of working together to the same end”. 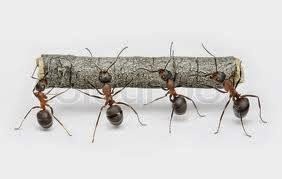 Synonyms of co-operation are: “collaboration, combined effort, teamwork, partnership, coordination, liasion, association, give and take, compromise”. "Work as a team to achieve common goals" what a radical, incendiary, absurd idea! Not really is it, it sort of makes incredible sense. Basically the trick is to take the “them” out of us and them. Well how might it work in real life? Or what about shuttle buses? If management stopped looking at THEIR bottom line they would see that shuttle buses could be an important tool, certainly for picking up city tourists who are the lifeblood of the top end, but also for cruise ships and nearby community groups. Only traders seem to understand that a cruise ship can impact dramatically on stall turnovers throughout the whole market. Council’s (THEIR) bean counters, focussing on THEIR bottom line again have said no to that proposition even though it would raise OUR level of business, including during a construction phase. Yes now it’s THEIR turn to compromise (oops, there we go again - yeah it's going to take a while to get out of this habit). True co-operation cannot be based on an ‘us and them’ mindset or culture. And this is probably the first thing that needs to be changed if co-operation is truly to become a reality and not just a radical, crazy out-of-this world pipe dream. And surely few would argue that this wouldn’t be a positive step forward for QVM. Just think of how much time and resources we spend pulling in opposite directions at QVM. Few would argue that we need a culture change. When we talk about US we need to include everybody associated with the Queen Victoria Market. Including the part of that US that is associated with Melbourne Council, the bit that is our management company, that pretty big chunk that needs to do a bit of selling and that really big bit that would like to do a bit of buying or visiting. Honestly, there really is no argument. If you look at this logically and reasonably, if you really are interested in the Queen Victoria Market, what we need is to work as a team to CO-OPERATE so as to make this a better place for everybody. So is this high level thinking, plain common sense, or just a radical, crazy pie in the sky? A free 2 hour training seminar held at Small Business Victoria in Exhibition St. on Tuesday was well received by around 20 Specialty (general merchandise) Traders. The seminar was directed at newcomers to e-commerce. Many of the traders attending already had websites but were keen to get an overview of current online thinking and the broad approach by our presenter certainly helped fill the gaps in trader's knowledge. Much discussion centred around the combination of websites, social media and email in communicating with customers. It was felt that more discussion on the use of Facebook and perhaps, Twitter, could be helpful to traders. Other subjects included the merit of linking trader's websites with the QVM website and drawing on its huge footprint, the merit of doing your own content entries on your website rather than paying someone else to do it, and the desirability of being innovative in your content so as to attract customers to your website and your stall. Our presenter suggested that around $2000 may need to be spent for a professional website but that there were cheaper start up options with monthly subscriptions that traders could also consider. A comprehensive training manual was handed out at the seminar and spare copies may be available from Victoria Niewalda. Thank you to all those who attended - Krista, Jerry, Robyn, Bruce, Iris, Drita, Andy ...........you know who you were. We would love your feedback. Just read an interesting article by Gijs van Wulfen in LinkedIn.com about a key ingredient in Ikea's success, namely the self assembly component in their furniture and accessories. A recent study of Harvard Business School, showing that participants who assemble products value them more highly than identical preassembled products. It is the sort of idea that has made the build-a-teddy-bear retail concept a success in Australia. Customers are prepared to pay a premium for teddy bears they design and make themselves. Basically it is a higher level of customer involvement and consistent with customers looking to "own" their retail choices. At my stall I sell model yachts and I have always down played the 10 or 20 minutes of self assembly that each customer needs to put in. Maybe I should be making that a feature. Without giving away any secrets, one of our traders recently told me of a new concept he has introduced to his range that allows customers to influence the design of his core product. Maybe this is something we should all be thinking about. Getting our customers involved and giving them more ownership of the product makes a lot of sense. A final word of warning from Gijs van Wulfen. Don’t make the self assembly too complicated. There are some who think Ikea gets close to the line on that. I am a small retailer - a time poor small retailer. I don't have back room staff - hell, I don't have a back room. Everything comes from my time - hand on - and every function is carefully timed so as to maximise my limited resources. I would like to take a photo of a product from my shelf, attach price data, and then upload to my website. Customers would click on the photo, access the price information, and add it to the shopping cart (in my case ZenCart). When the product reaches the end of its run I would simply delete the photo. In the meantime I am uploading many other products. The essence is in the simplicity. This strikes me as a simple, efficient way of maintaining my website and putting more products in front of my customers. Perhaps this technology exists. I would love to hear if it does. Please help! I can only hope that some smart person knows the answer to this. I do know that many smart people read this website. Fingers crossed that you get a reply. Yours Truly - Aunty V.
Aunty V can be contacted from any Have Your Say link on this website. Just use "Ask Aunty V" as your subject.